South Australian manufacturers were among the 33 winners of study grants awarded by the Industry Leaders Fund to South Australian executives last night. Adelaide Now reports that metal manufacturer Emilio De Stefano of Smart Fabrication, Andrea Mead from barbeque manufacturer Heatlie Engineering, and Derek Rogers from defence manufacture Saab Australia were all awarded grants. As winners, they have been acknowledged as future leaders of wealth creating industry. They will study at universities and other institutions of learning around the world. Emilio De Stefano, for example, will now study at Stanford Graduate School of Business in the US. 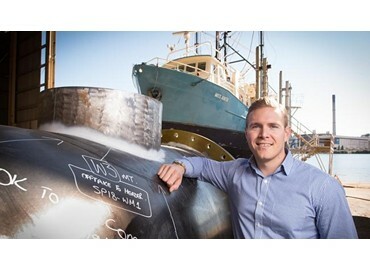 De Stefano is general manager of Smart Fabrication a fast-growing engineering and specialist steel fabrication company headquartered in Port Adelaide, which won the Business Transformation Award at this year’s Manufacturers’ Monthly Endeavour Awards. Chief executive of the Industry Leaders Fund Geoff Vogt said 33 grants were chosen from a competitive field of more than 80 applicants. The announcement of the grants took place at a presentation at the National Wine Centre in Adelaide last night.